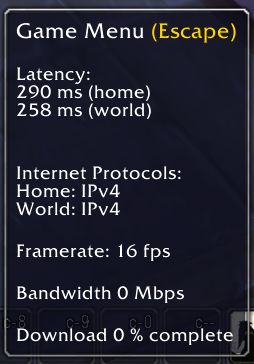 Yup, a friend is on this same cable service and I see anything from 25ms to 500ms when playing WoW, depending on the time of day. 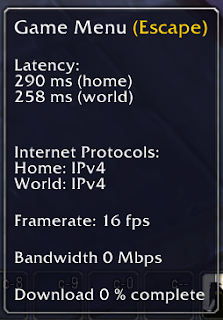 On my FTTC I'm getting 24ms constantly. I don't use their provided wifi and most of my devices are wired - maybe that's the difference? Would also be interesting to see what their cabled computer gets - maybe it's just really really dodgy wifi? Double-checked connected Wi-Fi clients? Just in case someone's managed to get past the security and is leeching. Also worth ruling-out poor Wi-Fi with a wired connection; there could just be neighbouring 802.11 on the same channel that is interfering. But after saying all that, your experience does not surprise me one bit, particularly as "20Mbit" is likely the lowest service tier. But if that's what you're used to, you become inured to it... same as the local clergyperson from the Church of Scotland (no idea if he's a priest, reverend, father, vicar...) and his (very widely advertised, no longer trading) mass-market DSL... he asked me to take a look at his "slow downloads that have never been great, but noticeably worse recently". A quick look showed sync of 8128/448 throughput measured via speedtest.net at 57kbps (that tallied with the 4.5-5Kbyte/sec he was seeing). He used some words you'd not expect to emanate from a man of the cloth when on the phone to them and got out of his *2 year* contract without penalty. I have to agree that it could be iffy wifi or even hijacked wifi, I was deliberately being a "consumer" not a geek here, honest. But of course if it was an A&A line it would be obvious if the wifi has been hijacked from the usage graphs, and the user controlled packet dump, and so on, on the control pages. It could be the UBR for the area is oversubscribed, that not that uncommon particularly either in student areas or areas where the only alternative is ADSL and your house is a long way from the exchange. Also if it's the provider I suspect it is they have STM on the lower tiers and it doesn't take downloading that much to trigger it, once triggered it's nasty and knocks 75% off the speed for a number of hours.